Curt Mast was an enthusiastic hunter from Germany. When out of the woods during the off season, Mast had a habit of tossing together wild herbs with the intention of making a drink for his friends. 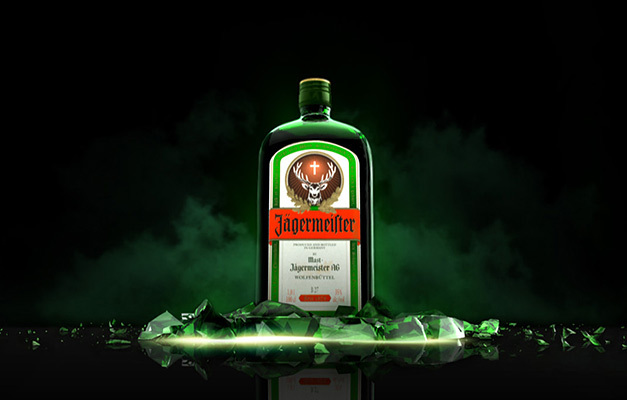 He finally succeeded in distilling a heavenly liqueur and christened it Jagermeister, which meant ‘hunting master’ in German. Before every bout of hunting, hunters should raise a toast with the new drink, he insisted. Jagermeister, the liqueur soon took the world by a storm with a horde of legends and lies hung on it like festoons. If your friend wrinkles his nose when he catches you sipping the sweet cold Jagermeister, don’t bother. Don’t even listen! He might put you off by saying that you are holding deer’s blood in your hand. Deer blood! What the hell!!! Well, notice the label on the bottle closely. Don’t you see the picture of a deer with a burning cross between its intricate antlers? The image has fueled the urban legend that drops of elk-blood gives the drink that exclusive taste. Deer with a burning cross over its head. 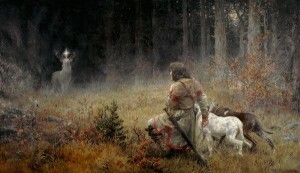 The imagery refers to the patron saint of hunters, St Hubertus. Legend says that Hubertus was once a compulsive hunter who mercilessly ravaged the rich biodiversity in his neighbourhood-woods. He shot animals down even on Sundays. One day when Hubertus took aim a white deer holding an illuminated cross in his antlers came out from the bushes. The hunter was dumbstruck. Bang! Bodhodaya! Hubertus’s soul changed utterly at that sight. He took a decision right then that he would never again hurt an animal. Curt Mast took the spectacle revealed to St. Hubertus to adorn the drink he made. Jagermeister may not contain any non-vegetarian stuff as the local legends whip up, but it has more than 56 exotic herbs, woods, spices, fruits, blossoms, seeds and roots harnessed from all over the world. A mix of citrus peel, licorice, anise, poppy seeds, saffron, ginger, juniper berries, ginseng etc are ground, and then steeped in water and alcohol for a couple of days. The concoction is kept for a year before it is mixed with sugar, caramel, alcohol and water and bottled. The bottle of Jagermeister should be kept in ice. In many bars in the continent they have Jagermeister tap machines that would keep the drink well under freezing temperature and dispense it in shots. Only when it is freezing-cold, the sweet drink, which has 35% abv can nourish those body parts where other drinks can only aspire to reach. A bit of a revolutionary, you are? 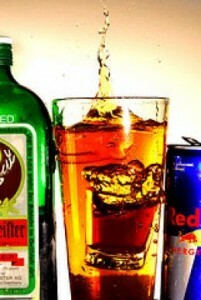 A shot glass filled with Jagermeister is dropped into glass of Red Bull energy drink. The famous Jagerbomb is born. Go blast it, buddy!